Stockton North MP, Alex Cunningham, is joining the Royal National Institute of Blind People (RNIB) to urge constituents to learn how to spot the signs of wet age related macular degeneration (AMD) – the biggest cause of sight loss in the UK – so they can act quickly. Alex is supporting RNIB’s “Spot the Signs” campaign to encourage over-50s to recognise the early signs of AMD, which include straight lines appearing curved or distorted, small print becoming difficult to read even when wearing reading glasses, and faces starting to appear blurry. There are two main types of AMD, wet and dry. While there is currently no treatment for dry AMD, sight-saving treatment is available for wet AMD if diagnosed in time. About 40,000 people develop wet AMD each year, but many people do not recognise the urgency needed to diagnose and treat the condition which can take eye sight in as little as three months. 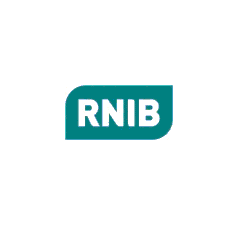 An RNIB report reveals that nearly 60 per cent of patients were unaware of the condition despite having dry AMD – a more gradual loss of sight which cannot be treated but can develop into wet AMD. Just under 70 per cent of patients were not diagnosed within seven days – in accordance with professional guidance – increasing the risk of permanently losing their central vision. Smoking is also a risk factor, with smokers twice as likely to develop AMD as non-smokers. Studies show that stopping smoking can reduce the risk of developing AMD. “I am pleased to support the RNIB’s “Spot the Signs” campaign, and strongly urge all constituents in Stockton North to familiarise themselves with the symptoms of AMD so that they can recognise any warning signs early and seek medical attention to prevent sight loss.